Say you just got home from a vacation, and you literally have hundreds of photos you want to share with friends and family. You could irk them all by emailing them your photos in multiple emails, or you could share them on Facebook or Google+, but not all of your friends and family are on Facebook. What’s one to do? If a better option is needed, file sharing and dedicated storage sites are the answer. They both offer easy ways to share large batches of photos online for free. 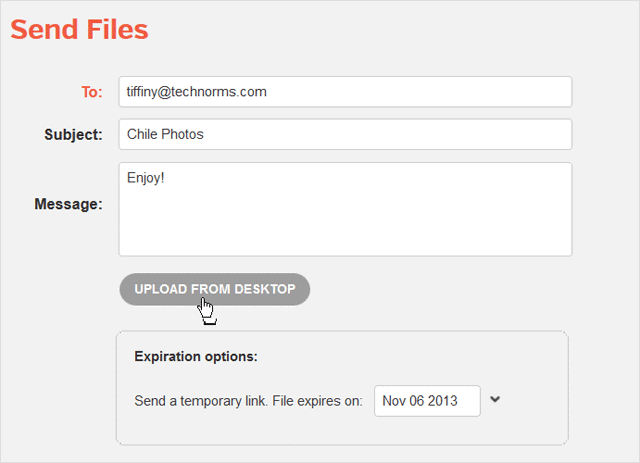 No longer are you tied to your email client or social media for sharing photos. One of the most popular methods for sharing large amounts of photos online is by using a file sharing site. 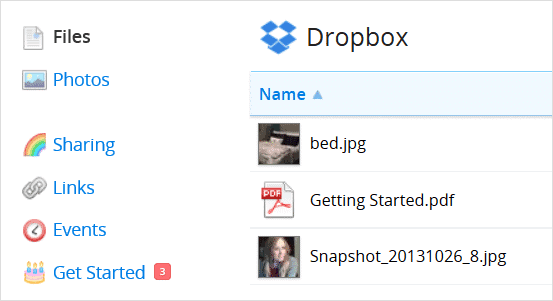 Sites like HighTail (formally YouSendIt), Wikisend and Streamfile let you sign up and upload your photos, where they’ll be stored in a downloadable zip file. Most of the sites offer free accounts, but they do have file share size limits and a time expiration limit on how long the download links will be available. Usually, it’s around a week, and this is so they can keep the service free. For HighTail, for example, the file share limit is 50 MB, however for Streamfile, the limit is a 100 MB. To share your photos using this service, upload your photos to the site. Once they’re uploaded, simply e-mail your family and friends the URL where they can download your photos in one large zip file. There are also other sites that offer much more generous limits, such as File Dropper, which has a 5GB file share size limit. Instead of sending a link to an URL where your family and friends can download your photos, you can just send them a link where they can view the photos; no downloading required. These sites are called dedicated storage spaces and there are dozens vying for your attention. Many are free but have storage limits, however, for the average user, this shouldn’t be a problem. Flickr: One of the most successful sites Yahoo has ever created, Flickr is one of the most well-known photo storage sites and it offers 1 terabyte of free storage space. That’s a huge amount of space and much more space than you’ll get at any other storage site. To share a lot of photos using Flickr, you’ll want to upload them and organize them into “Sets.” Each set will have its own URL, which you can just e-mail your friends and family in one bulk email. Photobucket: Photobucket is another photo storing site that’s been around almost just as long and offers free storage space. However, this site has the 2 GB storage limit. 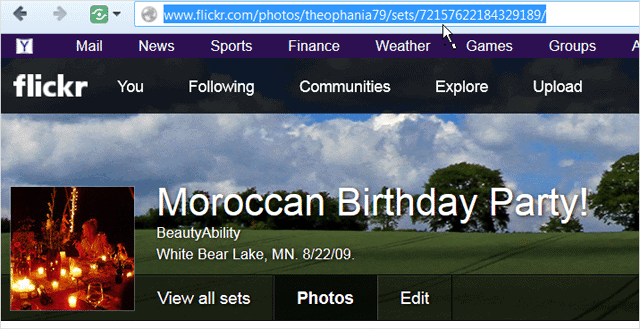 Photobucket, however, has one thing Flickr doesn’t – a more integrated way to share photos with family and friends. 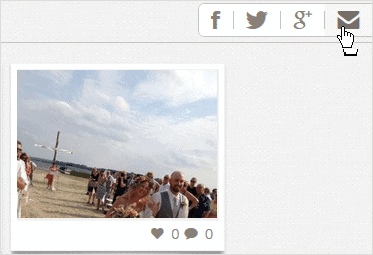 When looking at photos in your Photobucket account, there’s always a share button in the top-right corner. 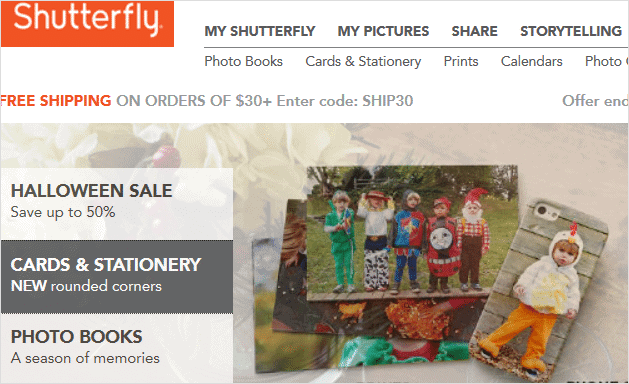 Shutterfly: If you’re the kind of person who enjoys printing their photos as well as sharing them online, Shutterfly is the site for you. This site integrates with Rocku, iOS devices and lets you send your photos directly to Target for printing. You can also print them onto objects like home decor, gifts, cards or create a photo book. 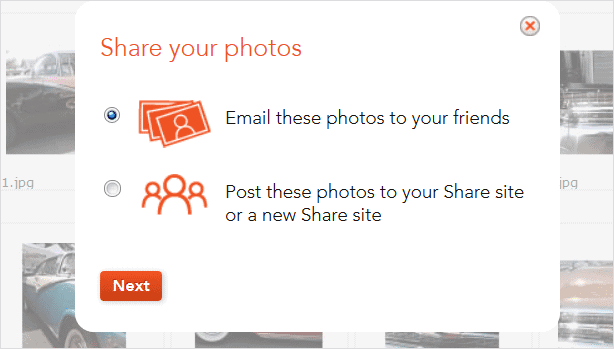 When sharing photos in Shutterfly, just click the “Share” link at the top of the page and two options will appear – either email the photos to friends and family or send them the URL to your Shutterfly page. 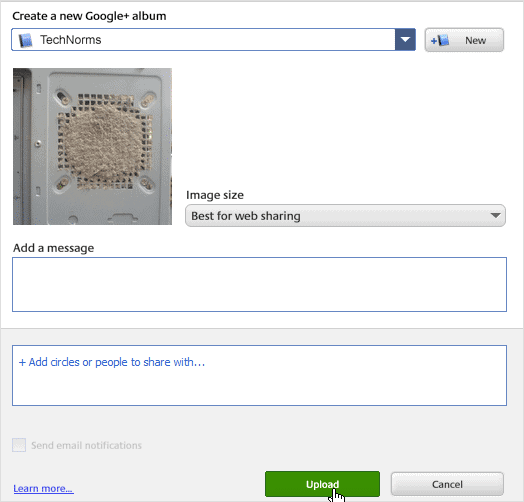 Picasa: Now owned by Google, Picasa is a photo storing software made for sharing photos on Google+. A Google account is required to use the software. To use Picasa, just download the free software and install. It will retrieve all the photos found on your computer. To share photos via the software, click on the “Share” button above each folder of photos, select “Enable Sync” of your photos with your Google account. Note: You must have Google Photos activated. Don’t forget to utilize the cloud storage sites. If you have a Google account, you can upload your photos to Google Drive and share the link to your photos with family and friends by either right-clicking the file clicking the “Share” button at the top of the page. If all else fails, you can always resort to compressing your photos into is a zip file in Windows, and then sending it via email. This way at least won’t send an overwhelming large file to your recipients’ inbox. To do this, go to the folder on your computer where the photos are located. Highlight the photos, right-click and select “Send to,” then select “Compressed folder.” After it’s completed, simply attach the file to an email and send. 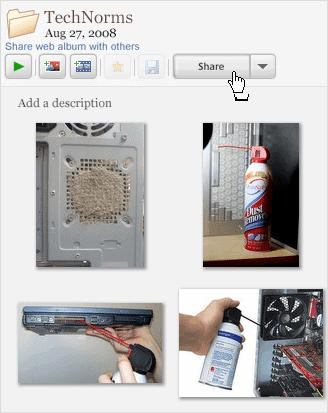 There are even more ways to share your photos if you have the gadgets that are. If you have an iPhone for example, you can share your photos in a snap. Whatever you’re the most comfortable with, however, that’s the method you want to use. There are plenty of other difficult tasks to be done on the computer; photo-sharing should be easy.